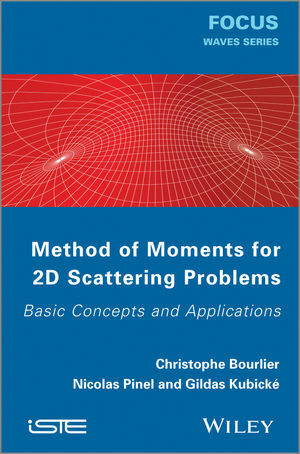 In this book, the Method of Moments (MoM) is applied to compute the field scattered by scatterers such as canonical objects (cylinder or plate) or a randomly rough surface, and also by an object above or below a random rough surface. Since the problem is considered to be 2D, the integral equations (IEs) are scalar and only the TE (transverse electric) and TM (transverse magnetic) polarizations are addressed (no cross-polarizations occur). In Chapter 1, the MoM is applied to convert the IEs into a linear system, while Chapter 2 compares the MoM with the exact solution of the field scattered by a cylinder in free space, and with the Physical Optics (PO) approximation for the scattering from a plate in free space. Chapter 3 presents numerical results, obtained from the MoM, of the coherent and incoherent intensities scattered by a random rough surface and an object below a random rough surface. The final chapter presents the same results as in Chapter 3, but for an object above a random rough surface. In these last two chapters, the coupling between the two scatterers is also studied in detail by inverting the impedance matrix by blocks. Christophe Bourlier works at the IETR (Institut d’Electronique et de Télécommunications de Rennes) laboratory at Polytech Nantes (University of Nantes, France) as well as being a Researcher at the French National Center for Scientific Research (CNRS) on electromagnetic wave scattering from rough surfaces and objects for remote sensing applications and radar signatures. He is the author of more than 160 journal articles and conferences papers.